Allegra Boverman/Gloucester Daily Times. 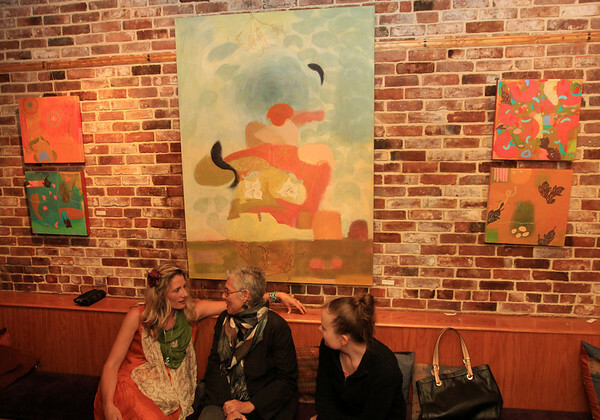 Art work by artist and arts educator Shay Cajolet of Gloucester (seated at left) is on display at Alchemy at 3 Duncan Street in Gloucester from now through July 8. Her works are for sale and 10 percent of sales benefit the Gloucester Education Foundation. She is with friends Kate Seidman, center and Jessica Nelson during the opening of her show last week.